Business Today brings you important news from the past fortnight, which you may have missed. >> The winter session of Parliament will begin on November 24 and continue till December 23. The passage of Insurance Laws (Amendment) Bill, which seeks to raise the cap on foreign direct investment in insurance to 49 per cent, the Land Acquisition and Rehabilitation and Resettlement Bill, revised Goods and Services Tax Constitution Bill are among the top priorities of the Modi-led government. >> Consumer confidence in the US jumped in the third quarter and improved globally, although people were more optimistic about job prospects than their personal finances, according to the survey by information and insights firm Nielsen. India remained the most bullish consumer market, while Italy became the most pessimistic. The survey was conducted online and covered more than 30,000 consumers across 60 markets. >> The World Bank report has projected that India's gross domestic product is likely to expand by 5.6 per cent this financial year. >> Prime Minister Narendra Modi's visit to Japan has started paying dividends. Telecom company SoftBank Corp Chairman and CEO Masayoshi Son has pledged an investment of $10 billion in India's information technology and communications space. India-born Nikesh Arora, a former Google honcho, is the vice-chairman of SoftBank. 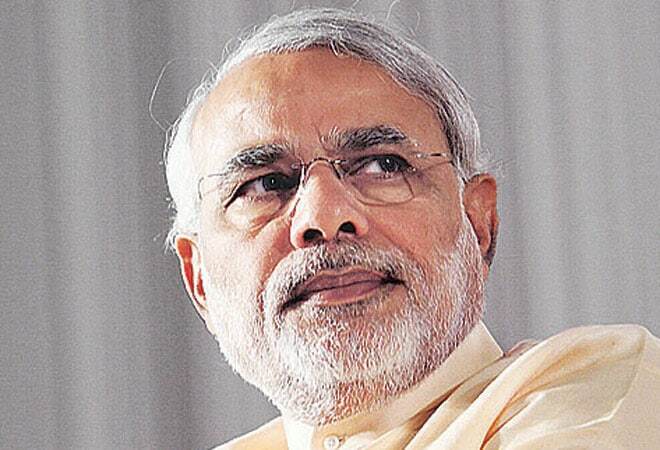 >> The Cabinet has relaxed norms for foreign direct investment in construction development. The minimum built-up area requirement for FDI in construction projects has been cut from 50,000 sq.m. to 20,000 sq.m. The minimum capital required for such projects has been halved from $10 million to $5 million. >> India has performed poorly in removing gender-based disparities, ranking 114 out of 142 countries in World Economic Forums gender gap index. The nation scored below average on parameters such as economic participation, educational attainment and health and survival. India has slipped 13 spots from last year's ranking of 101. >> Ranbaxy Labs has reported its first profit in six quarters as its earnings shot up with the exclusive launch of a cheaper generic version of Novartis AG blood pressure pill Diovan in the US market. Consolidated net profit stood at Rs 477.75 crore for the second quarter. >> Indian online retail market is estimated to grow over fourfold to touch $14.5 billion (over Rs 88,000 crore) by 2018 on account of rapid expansion of e-commerce in the country. The online retail market is projected to grow at a compound annual rate of 40-45 per cent during 2014-18, according to research and consultancy firm RNCOS. >> The next six months are likely to favour job aspirants as 88 per cent of employers are willing to increase their staff strength on account of improved economic conditions. According to the TeamLease Employment Outlook Survey for the next six months (October 2014-March 2015), global macroeconomic trends and domestic demand have put business and employment sentiment on a fast paced upward trajectory. >> The government has scrapped the selection process for chiefs of public sector banks. A fresh process will begin to select eight chairman and managing directors and 14 executive directors in the PSBs. Bank of Baroda, Canara Bank, Syndicate Bank and Indian Overseas Bank are among those waiting for new heads. >> The finance ministry has ordered austerity measures, including a ban on holding meetings at five-star hotels and first-class air travel. The measures will include a 10 per cent cut in non-plan, or discretionary, expenditure. >> Twitter Inc.'s third-quarter user growth has slowed and its loss widened. Users on the social network rose 23 per cent to 284 million. That compared with 24 per cent growth in the prior period. Sales more than doubled to $361.3 million, topping the $351 million average analyst projection. Mobile ad was 85 per cent of total ad revenue in the third quarter. International revenue more than doubled to $121 million, making up 34 per cent of total sales. >> Apple Inc CEO Tim Cook fired back at CVS and Rite Aid after the drugstore chains blocked its mobile payments service, saying there were plenty of other retailers around the world to sign up. Apple Pay saw more than a million credit cards registered over the first 72 hours. It totes up more transactions than all other "contactless" payment methods combined, Cook said, citing Visa and Mastercard data. >> The Chinese company Xiaomi has promised to move its Indian users' data to servers outside China and eventually to India in 2015. >> India is home to the second largest proportion of high-earning expats in the world after China. An HSBC survey says 18 per cent of Indian expats draw a salary of $250,000. In China, 29 per cent expats earn a similar annual salary. "He doesn't have to sensationalise. He doesn't have to get into headlines." Finance Minister Arun Jaitley implored the Comptroller and Auditor General (CAG) to do its job in a straightforward manner. His speech, made at the CAG's annual conference, had distant echoes of the sentiments of the former UPA government, which suffered when the CAG released mind-numbing estimates of notional losses incurred on allotment of telecom airwaves and coal mines. Back then, Jaitley's party BJP had tucked into the charges with relish. "... Unaware that I would be at the World Bank one day and hence be shifted from the side of the consumer to the manufacturer of this product." Says Kaushik Basu, the author of the Ease of Doing Business report, in his foreword. He admits to having "used, criticised, valued and debated" the report when he was the Chief Economic Advisor. >> India's rank in the World Bank's latest Ease of Doing Business report, out of 189 countries - 142. We slipped two places. PM Modi wants to lift it to 50. Our only neighbours that are ranked lower - Bangladesh, Afghanistan. >> $85 billion - The amount the US central bank bought in each month of 2013. There will be no more buying as the Fed has ended the process that was called Quantitative Easing and was used to fight the economic slowdown. >> $200,000 - The price Blue String Ventures, a disease-obsessed domain name vendor, got for Ebola.com. Time.com reports, quoting DomainInvesting.com, that the buyer is a Russian company apparently focused on the marijuana business.